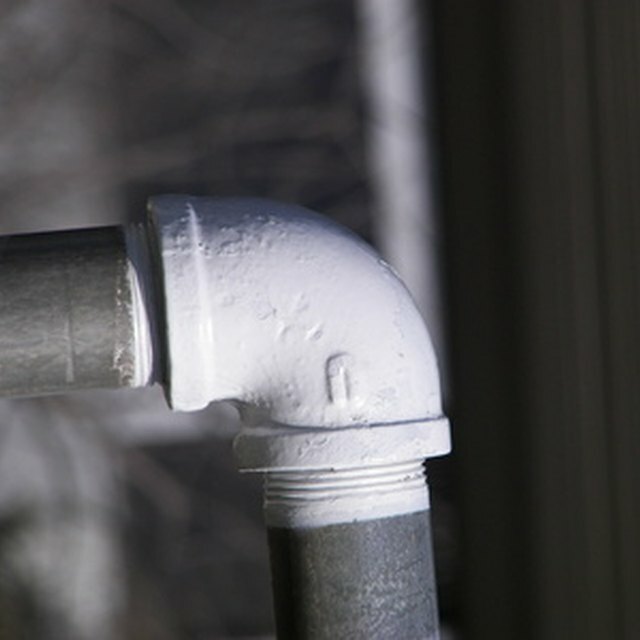 Venting heating stoves or fireplaces requires pipe to carry the smoke out of the house. The pipes used for ventilation vary from single to triple wall. The more walls a pipe has, the better insulated it is and the less clearance from combustibles it needs. Metal chimneys are usually made of triple or double wall pipe. Single wall pipes need a lot of space. Depending on the type you have, the pipe will require between 11 and 25 inches of space between it and any combustibles. Some wood-burning stoves used for heating will have a single wall pipe that exits the stove. In this instance, the lack of insulation of a single wall pipe is a benefit because the pipe can add more heat to the room through radiation. Triple wall pipes are frequently used for metal chimneys or when the pipe must pass through the house. These are more insulated than single or double wall pipes. Two outer layers of galvanized pipe surround the core pipe made of steel. Air gaps between the pipe layers add to the insulation. Technically, you could use a single wall pipe all the way up a chimney, but these pipes lack the insulation of triple wall pipe and waste heat through radiation. If you are venting the unit through the house, changing to a triple wall pipe, as the vent passes through floors and the attic, makes using the appliance safer. You will not have to move the attic insulation as far away from a triple wall pipe as you would for a single wall pipe. Adapters are used to allow a single wall pipe to fit into the end of a threaded triple wall pipe. Adapters are available from most hardware stores. Both sides of the adapter must match the diameters of your single and triple wall pipes. The adapter must be installed at least 18 inches below the ceiling before passing the pipe through the ceiling.